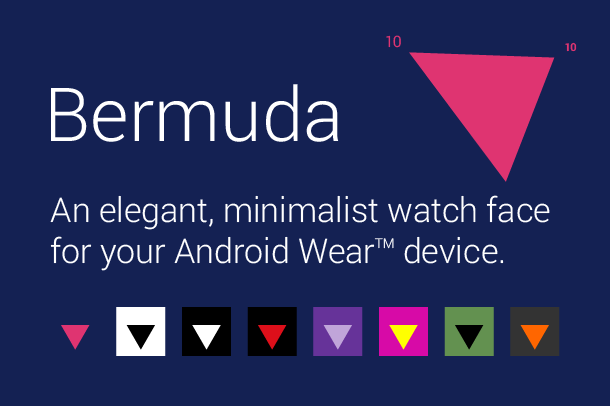 Today Airsource announced the release of Bermuda, an elegant, minimalist watch face for your Android Wear™ device. Carefully crafted to give you access to the time without cluttering your screen with unnecessary information, Bermuda is designed to complement your timepiece perfectly. Offering a choice of 8 different face colours, Bermuda is available from today on the Android Play Store. We'd love to hear your feedback - let us know from inside the app on your smartphone if there's something you're dying to see included.